Take a look at our range of Pershing yachts for sale. For 25 years, Pershing has been producing some inspirational yachts such as the Pershing 73 Open, Pershing 56 Hard Top, Pershing 90 and Pershing 37. This year Pershing has launched it's newest yacht, Pershing 62'. 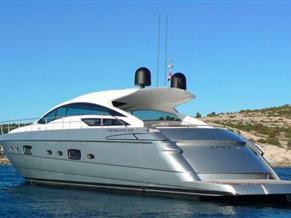 At thetyachtmarket.com, we’re bound to have the perfect Pershing yacht for you. Take a look!